Elaine Hancock (Olney, United States) on 4 September 2014 in Landscape & Rural. 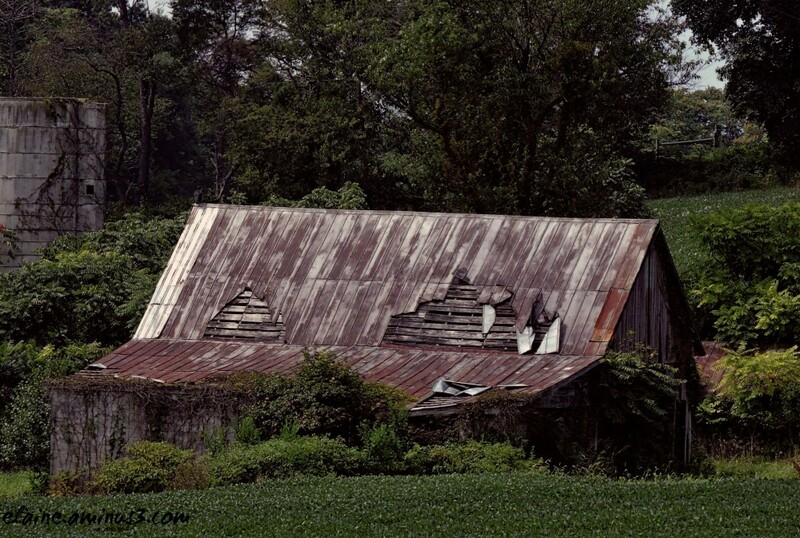 The abandoned farm house was on the hill behind the barn. So much farmland in our area is being bought and developed as housing tracts. It is so sad. In this wanton loss of farmland are sown the seeds of future ruin . . Sad ? No ! it's ! Only, it 's. belle lumière qui donne des reflets argentés à ce toit! Yes I do. It is a sad reality. Ronnie's words are true. Despite this, have a nice day! Dommage un superbe paysage environant. I love this sort of Thing,what a great Location and cracking compo. Très belle cette grange abandonnée! Elle a fait son temps, en effet. Mais elle a encore du charme et ferait une belle cabane pour des enfants qui veulent jouer aux aventuriers. The remains of this old place look very interesting. One wonders about the history of the place. It is sad to see so many of the old places totally changed with today's building. En effet, les affres du temps sont la !!! Ces vieilles fermes abandonnées ont beaucoup de charme. These old abandoned farms have a lot of charm. Nicely framed old barn and silo.